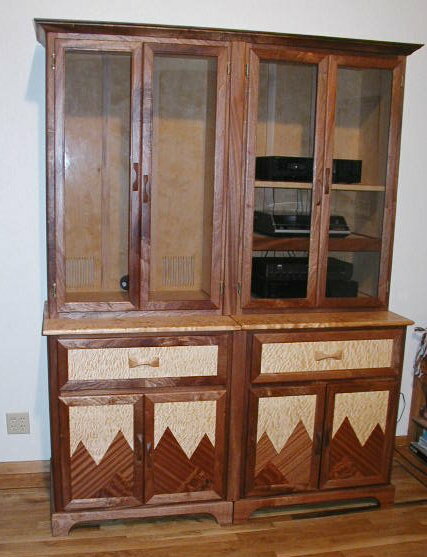 This multi piece stereo & TV cabinet was built with flexibility in mind. The set consists of three lower units (2 for the stereo cabinet, 1 for the TV cabinet) and 2 upper units. All pieces can be placed together, as shown or used individually. 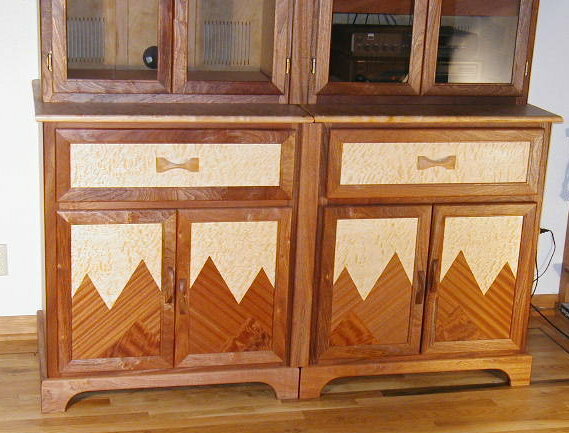 These pieces were made from solid quilted maple & solid sapele, figured & ribbon stripped sapele veneers and quilted maple veneers. All drawers feature dovetail construction & full extension slides. The stereo wiring can be done through a removable panel in the back of the cabinet. The top false drawer front folds down for DVD & VCR storage and use. 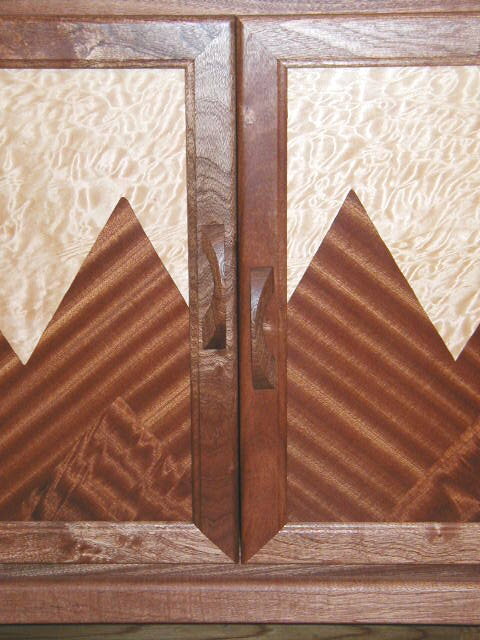 The marquetry door panels adds a contemporary western look to this piece. 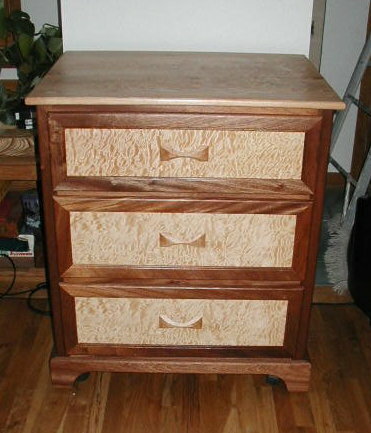 All door and drawer pulls are custom made and place on an offset to add visual interest.